I was in a thread about EMP and what vehicles were best to survive and got a personal email thanking me for answering and asking additional info. the logistics of the Florida mass escape that left nearly a million stuck in the road in their vehicles STUCK and many in worse shape than if they had stayed home to face the storm verses the mass of humanity . An escape from even a medium city after EMP is a real problem as most traffic lights will probably not work ,radio stations,street lights,cell phones ...all out of service and how many people in the streets with no traffic controls and over taxed police. I suggested he get out EARLY,even a half hour might make a difference...or plan to shelter in place for a few days and walk or ride a motorcycle out ,though either would leave one more exposed to the less desirable elements of mankind. This is a thought thread ,vehicles,supplies,shelter,escape...what would you do as I remember how the great blackout of the Northeast took little time for the riff raff to emerge. Being stuck in a large city would not be good long term after a massive and widespread disruption such as an EMP. I think the wild card in making a decision is whether you have dependent family members. If I was alone in a city, I would make sure that I have decent portable and vehicle bug out bags always at the ready. And cash stashed as well. If a sudden event happened I think it would be best to exit the congested city as quickly as possible by whatever means available: old vehicle, bicycle, walking, boat, etc. I think you could have 12 hours of relative safety before a mass exodus and local rioting and mayhem began to spread. You should be able to cover at least 20 miles in that 12 hours if you start right away walking. Most people will be in disbelief or underestimate the seriousness of the event and will NOT be mass evacuating like they would with a weather event and several days/hours notice. Assuming of course you have planned for an alternate location of a friend, family or such in an outlying area. This is pretty drastic in that you are leaving your newish vehicle, home, furnishings, etc behind. But the overall priority has to be immediate personal safety and the best way to stack the deck in your favor is to get away from the dense crowd. That buys you some time to assess the unfolding situation and decide what to going forward, but from a base of safety and probably with other close people you can brainstorm with and combine resources. If I have a family in the city with me then it becomes much more difficult. If we were all at home at the time the EMP occurred I would do the same as described above. BUT, if it happened during the day and everyone is scattered at places of school and work, then it may be that by the time I can gather everyone back home safely I have lost the window of safely existing the city. Then I would start executing a bug-in plan: minimize exposure outside, check in with neighbors, set up night watches at least within my property and if possible with several other neighbors (did they make it home yet?). I would plan to shelter in place for at least a week, but be looking for a good time to exit the city in reasonable safety. It would be good if I was able ahead of time to establish agreements with several friends/family along a bug-out corridor such that my family and I could migrate out of the city in steps, make it a few miles each day and stay overnight with each friend. The stepping stone distance would depend on the age and health of myself, wife and kids. But every mile further out one gets the more safety increases. Overall, if I were in a city and concerned about EMP event I think it would be worth having an inexpensive older vehicle that could make an escape very easy in that first 12 hour period of relative calm, or if necessary a couple of weeks later. It could be fixed up enough to be a daily driver, or just kept up with minimal maintenance as an backup/escape vehicle. I would go with a full size van so that it seats everyone and you can haul maximum gear protected from elements and observation of contents. With our without family it is good to have a bug out as well as bug in plan and preps. The key thing is to have decisions points already established in your mind and among family/friends: if an unexpected severe event happens then you are bugging out within the first few hour (3-4 max); if you don't make it out before everyone else figures it out and hits the road then you bug in for at least 1-2 weeks and assess your next best opportunity and pathway for getting out. Secondly, is having a chain of friends/family along your bug out route that you can stop over with and not have to try to cover 300 miles in one grueling effort. I can't imagine trying bug in for months in the middle of a city after an EMP event. Storms and such give some warning, are fairly short term and localized, and can be recovered from in due time. An EMP would be widespread and long lasting and very sudden. I think after a couple of weeks it could become pretty dangerous especially trying to keep multiple family members safe. Maybe a single person could manage it but it would be better to consolidate with other like minded adults to share watch periods and resources and ideas. Long term, water has to be a big concern. Not like you have a creek nearby (within a few blocks) to draw it from. Water storage, filtering, purification, containers has to be in place. Then food has to be stocked up, you can't depend on getting any more supplies of any sort for months at least. Perhaps a spare vehicle in secure place at a friends home on the outskirts of the city as one must 'network' because a lone wolf can't do the job without a place to bug to and support along the path. Or a fast freedom run every time the hair on your neck stands.I live within 1/2 mile of the edge of my housing area and not much mass evac is expected yet I have pre packed totes for fast loading of the auto of important items and less than 10 mile from my BOL with three roads(none interstate) to get me there. But I also feel a PLAN and SPEED will help insure safe evac. For New York, most East Coast cities, San Francisco, and Chicago the best plan would probably be to charter a boat ASAP. I carry a grand with me when in the cities for just that purpose. You can't deny that this works as during 911 was this largest water evac in history (besides Noah) even more advanced than the Normandy escape during the war. A rock crawler to crawl over all the stranded cars on the road. And the tools to siphon gas from said vehicles. Probably too slow,but I like the idea...I think a SHERPA would be the ultimate Bug Out Vehicle. I never heard of the 9/11 boatlift! Thanks for pointing that out. This really would be the best way as going by land would require either going through the tunnels or over the bridges neither of which may be viable. It was an awesome thing to see as I watched it as it happened though the video and editing packaged the incredible things that people can do when pressed by events. Things like this cause pride in man and country inn me.Though it might be hard to do before when bug out is the plan for the day. The original question was GETAWAY VEHICLE,I think and deserved some expansion and discussion to help a fairly new TSP reader make a plan and fortunately he lives about 30 miles out and has a better chance of avoiding the panic of a mass evac. If your in the city and you don't have the ability to get across the river you going to have to go north. Then either west into pa or east to the new England states. Manhattan is an Island. If you go north you will still need to use a bridge when you come to the Harlem river. We can ignore specifics and more generic escape from a large city and massive problems of traffic and disabled power caused lack of traffic control and fuel availability. What vehicle ?What vehicle related tools etc?,normal stuff please. What supplies for the bugout or beyond? What preps for vehicle and ,lets say four in the family? I know bugout has been done before but I think not with the logistics of mass evacuation and traffic problems as a part of the plan. I have opened my home,but not my BOL,as a temporary shelter for a few friends and share the offer with their homes for me if a local event prompts rapid temporary evacuation so I have many directions I can go if the need is just to get out of my neighborhood and not the whole city.The evac plans and map are in my vehicles notebook and on my Prepper Thumb Drive. The issue with Manhattan is that even if you get off the island - you are still stuck in a densely populated area. Going North up the 95 corridor, you cannot even do that on a normal day. South towards Philadelphia is only slightly better. The only real direction is west via the 78 Corridor to Easton and Bethlehem, and into the heart of Pennsylvania. From there you can then avoid the masses. Good luck with that. You have to go through the Lincoln or Holland tunnel then Newark. If you can get past 287 maybe you can make it. During normal times it is two hours to the Pennsylvania, New Jersey border. It will take much longer in an emergency, and then there is the fuel issue... I think a boat going up the Hudson to Bear Mountain is the best bet. Stash a car off 9W, from there it's pretty rural back roads, just stay away from Oyster Creek Nuclear plant near West Point. OK. Here are my thoughts based on my own preps. However I have never had to actually bug out. I have only done practice runs. I relied heavily on the advice Jack has given but modified it for my own use. Vehicle is a later model half-ton (150/1500 class), crew-cab pickup truck. It is 4X4 but does not have an off-road suspension. I wanted a suspension which provided better handling on road. The transmission is also the middle option available (mix of decent gas mileage and tow capability). I have added a good Class III/IV hitch, trailer brake controller, and trailer plug adapter for easy and safe towing. The bed is covered with three-fold hard top (specifically the original extang solid fold). When coupled with a tailgate lock like the Pop & Lock this creates a large 'trunk' for carrying items. But it can easily be opened for carrying bigger things. Plus it is an excellent platform for a rifle. Just the right height for shooting over while using truck body for cover. But this is not water tight. 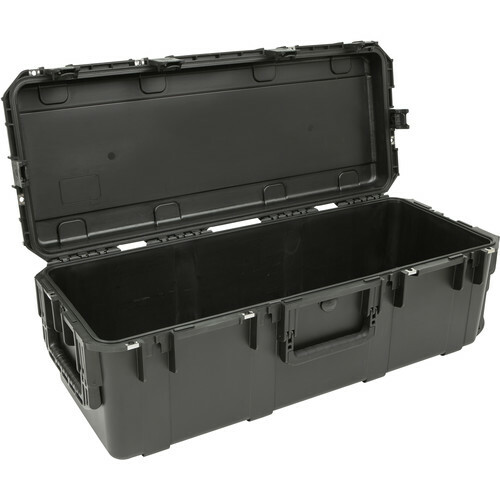 So I also carry an SKB iSeries waterproof case for the main gear. This thing is so well sealed that metal items placed in it don't rust. It also makes for a great camp bench/table. In it I keep a lot of equipment. I have most of the items that jack talks about. But the key ones for keeping on the move are a small camp axe, foldable shovel, tow straps, hand winch (from harbor freight but works great), bolt cutter for gates/locks, 12v air compressor, lights, fire extinguisher, and gooloo jump starter/emergency light/USB charger. This last gets moved into the cab and is charged as I drive. The gooloo is an impressive piece of kit. With 18 amp-hours it can keep all my USB chargeable items items running for two weeks. This includes cell phones, transceivers, APRS devices, GPS, etc. It is sort of a cross between Steven Harris' vehicle backup and the tech in his cell phone video. This combination of items will allow us to quickly clear items from the road (e.g. tow straps to pull/axe to cut) and get us out of being stuck (shovel and winch). With this I still have plenty of room for carrying other preps. One big one is I use a cross-bar near the back (i.e. bumper side) to 'trap' five ~5 gallon filled gas cans in place. This doubles the range of the vehicle to 800 miles. One nice thing about such a truck is that it has some off-road capabilities should the roads be jammed. In a place like Chicago this would be invaluable as one could (slowly) drive along the train tracks and power easements. Looks like a good setup to me LIBERTY and I am sure you left out many details as you have been around some time and put a lot of thought into your planing. A lot more capabilities get added when our RV is included. 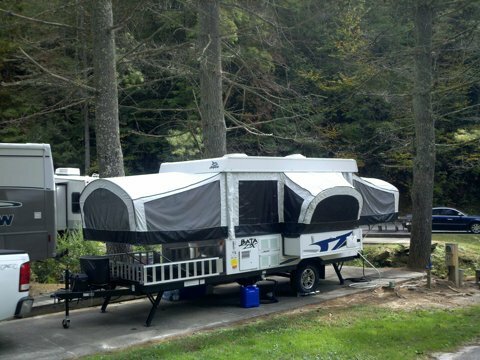 It is a Jayco Baja 12e toy hauler. It is off-road capable. We use the deck for bikes, generator, more gas, coolers, etc. It is happy either dry camping or at RV parks. Several of our BOL locations are RV parks where we have made great friends with the owners/managers. Sounds even better now though maybe tough to pick up and run on short notice. Great on extra battery and upgrade comms though 8500 will carry you well for now. 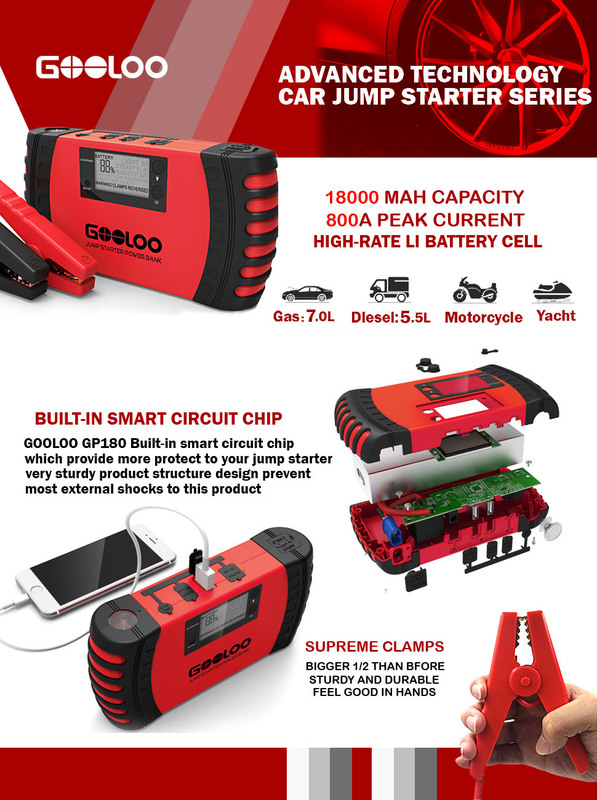 I think even a 100 watts of solar would do you well as it can charge a battery with about 45 to 50 amp hours each day (fully charge a typical auto battery) and with a charge controller ,can be had for under $200 and be used without perminent mounting also very QUIET. looks like a lady bug... and its' rather small inside it looks like. now that is cool.... i wonder how much room is inside. The sherpa carrys 6 people and gear,about same as the tracked vehicle from what I saw. Has anyone looked into an amphibious vehicle? I live on long Island so I have a similar scenario to NYC. My guess is that you'd need a motorcycle/bicycle to get to the water and then something to cross it. https://www.gibbssports.com/triski looks like a good option. However, buying a boat/amphibious vehicle is expensive for something that may never happen. I could perhaps justify a motorcycle, but something floating that I will only use if SHTF seems like a bad purchase. An inflatable with small motor or a kayak would make the trip though without much in the way of supply. You would be best with a place to go with a supply of supplies...a BOL to carry you to in your BOV when TSHTF. I saw a video about a New York prepping firefighter who included an inflatable in his preps as a backup. It was a well thought out plan for bugging out. But I cant find it now. Was his name Snake Plissken ? I couldnt find the video i was thinking of but did find another with the gentleman: https://youtube.com/watch?v=Ka-3FDXATeI. 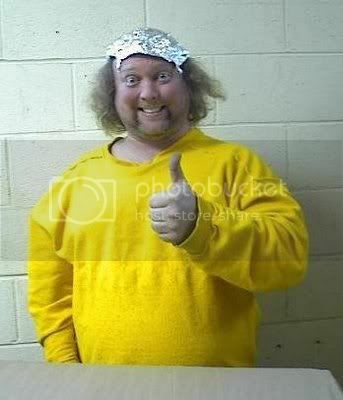 His name is Jason Charles and he is the organizer of the NYC Preppers Network. In the video i was thinking of he goes over his bugout plans in more detail including the use of an inflatable boat (as opposed to a goat). The above linked video only mentions it and cites a government agency warning. Nice looking inflatable boat for those who are leery to click a link in the wild.